Trump revealed her decorations with a video showing her on a walk-through of the White House, featuring a wreath made from ‘Be Best’ pencils. Be Best is the first lady’s anti-bullying initiative focused on “encouraging children to BE BEST in their individual paths,” according to the White House. 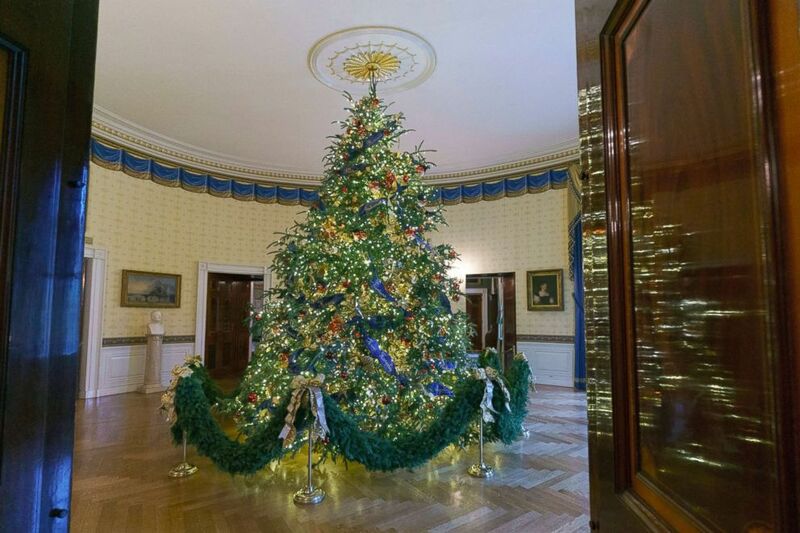 Throughout the White House, the color red plays a significant role as more than 14,000 red ornaments hang from 29 trees. Forty red topiary trees line the East Colonnade and have already been the subject of conversation on social media. The choice of red is an extension of the stripes found in the presidential seal — a symbol of valor and bravery, according to the White House.